Liverpool face Leicester on New Year's Day as the Reds look to continue their streak of good performances after a 4-1 win over Swansea. 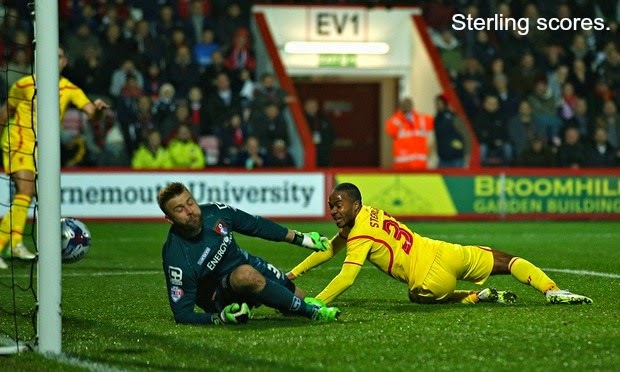 Injuries for the Reds mean they are without Brad Jones, Joe Allen and Glen Johnson. A doubt still remains for Dejan Lovren too. Also unavailable to start will be Martin Skrtel who is suspended, it is presumed Kolo Toure will take his place. For Leicester they are without Paul Konchesky, Andy King and Kasper Schmeichel. Leicester currently find themselves bottom of the league having amassed just 13 points. They have lost five out of their last six fixtures in the league, winning their most recent game against Hull 1-0. Liverpool on the other hand find themselves in 8th on 28 points. The Reds have won three out of their last six games, losing one and drawing two in the process. Brendan Rodgers steered his Liverpool side to an emphatic 4-1 win over Swansea at Anfield on Monday night as the Reds finally began to look like a side that could frighten the opposition and be successful in attack. I'm the first to admit that when I saw the starting line up, it wasn't completely my cup of tea. Particularly because Balotelli was missing (you all know I'm practically in love with the man now so just leave me be haha) but also that fact Can was deployed in defence. I realise Can has played in this position before but I much prefer him in an attacking role and wanted to see him further up the pitch. 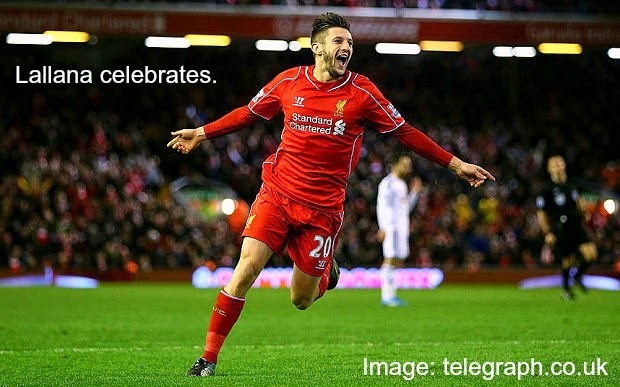 Liverpool welcome Swansea to Anfield on Monday night as they look for another win after beating Burnley 1-0 on Boxing Day. It's an extremely familiar opposition for Brendan who will relish the chance to get the better of his old captain Garry Monk. 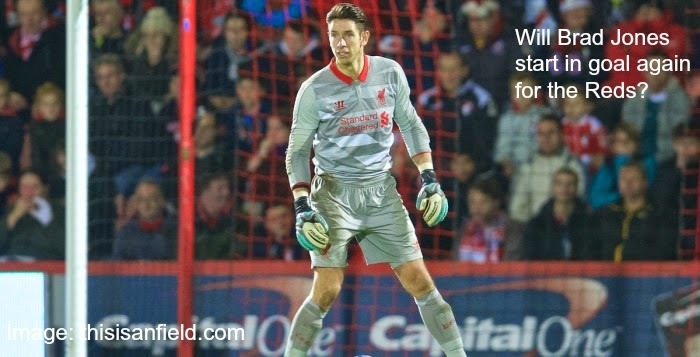 Injuries for Liverpool mean they are unable to call upon goalkeeper Brad Jones who is suffering from a thigh injury. Lovren, Johnson, Flanagan and Daniel Sturridge are all still unavailable too. Swansea are relatively strong squad wise with just Montero unavailable through injury. Swansea are currently 8th in the Premier League, three points ahead of Liverpool who are sitting in 9th. The Welsh side have won three of their last six league fixtures, drawing one and losing two. Swansea have scored six goals in the last six games and conceded six. Liverpool have also collected three wins in their last six league games, losing just one and drawing two. 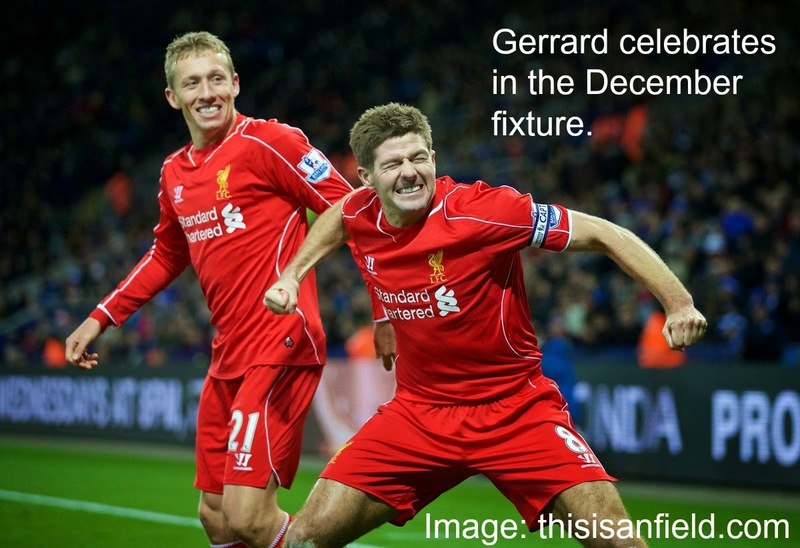 The Reds have scored seven goals in that time and conceded six. Liverpool eventually managed to get the better of Burnley on Boxing Day after a second half Raheem Sterling strike gave the Reds all three points. A very dire first half left fans feeling a little more than disgruntled but our star man saved us as we struggled to make an impact in front of goal. An applause was arranged on the five minute mark for the ex Burnley player and football pundit Clarke Carlisle who was recently involved in a car crash. Both sets of fans showed their support, here's hoping Clarke makes a quick recovery! The first half for Liverpool consisted of a forced substitution and basically trying to soak up the Burnley pressure. Players like Ings and Arfield were causing issues for the Reds as chances smashed off the post and trickled wide. Liverpool line up to face Burnley for their Boxing Day fixture this year and Brendan Rodgers will certainly be looking for a win after a hard fought draw against Arsenal last weekend. 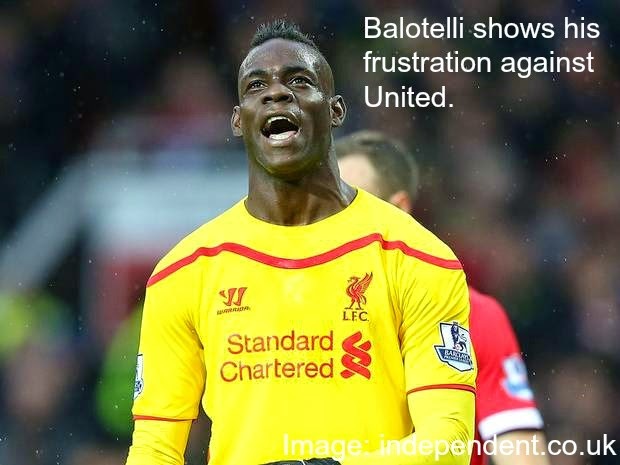 A bonus for the Reds boss is the return of Mario Balotelli who was serving a ban for the last match. Injuries for Liverpool mean they are without Joe Allen and the usual list of long term absentees. Fabio Borini is also unavailable after picking up a red card against Arsenal. For Burnley they are without Stephen Ward and Michael Duff. There is also a doubt hanging over Matt Taylor who has recently returned from an Achilles problem. The last time the two sides met was back in 2010. On the score sheet that day were Steven Gerrard, Maxi Rodriguez and Ryan Babel in the 4-0 win. Interestingly, the fixture at Anfield that season also ended 4-0 after a Benayoun hat trick and a Dirk Kuyt goal. The last time Burnley got the better of us was after a win in the FA Cup in 2005. Battered and bloodied after an accidental boot to the head, Martin Skrtel at 90 minutes netted a simply glorious header to salvage a point for Liverpool on Sunday as the Reds pushed back into the top half of the table. In a game that saw the Reds dominate possession there were several positives to gain from this match as Brendan Rodgers looks for more of the same from his side over the Christmas period. It was another typical Liverpool display for the majority of the first half as the Reds (again without a natural striker) managed to create several promising attacks but just couldn't find that end product. The likes of Markovic and Sterling in particular were causing issues for Arsenal who struggled to deal with the injection of pace. Liverpool also had their own issues to deal with though as Brendan Rodgers bravely decided to field three at the back allowing Arsenal some freedom down the wings. Liverpool will face Arsenal at Anfield on Sunday after successfully getting the better of Bournemouth in their league cup clash earlier in the week. Manager Brendan Rodgers will be unable to call on Mario Balotelli though who has ridiculously been banned by the FA for a social media post. 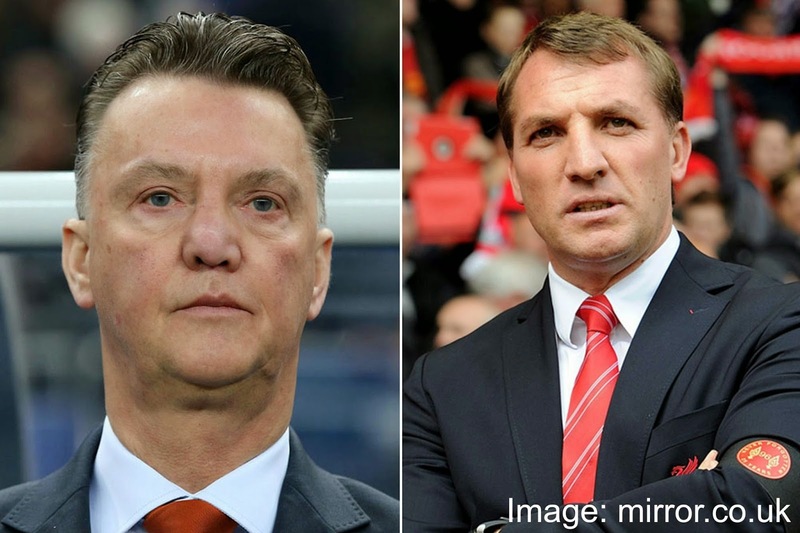 Injuries for Liverpool mean they are still without long term absentees Daniel Sturridge and Jon Flanagan. There will also be a late fitness test for Dejan Lovren whilst Glen Johnson will remain out until January. For Arsenal they have several injuries to contend with as Ramsey, Koscielny, Rosicky, Ozil and Arteta are all out injured. Late fitness tests will also be called for Oxlade-Chamberlain and Walcott. The last time the two sides met was in the FA Cup in February this year. Arsenal got the better of Liverpool on that occasion winning the game 2-1 with Oxlade-Chamberlain and Podolski on the score sheet. 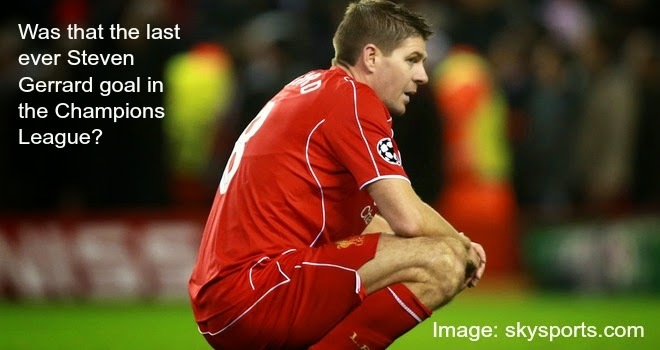 Liverpool were knocked out of the Champions League last night after a forgettable performance against Basel. Absent from the competition for five years, the Reds in the end could only muster a win over Bulgarian side Ludogorets in the group stages. Despite an improved performance in the second half, after Lazar Markovic was given his marching orders at 60 minutes, not even a magical Steven Gerrard set piece was enough to spur the Reds on to a win. It was an odd starting line up from Brendan Rodgers as he opted to field both Lucas and Allen in the midfield in a game that Liverpool were desperate to win. Pushing Henderson out wide in the process it was clear to many that this set up was not going to work. There may be the small matter of an FA Cup draw later this evening but Liverpool have their eyes firmly on a very important tie with Basel in the Champions League on Tuesday night. 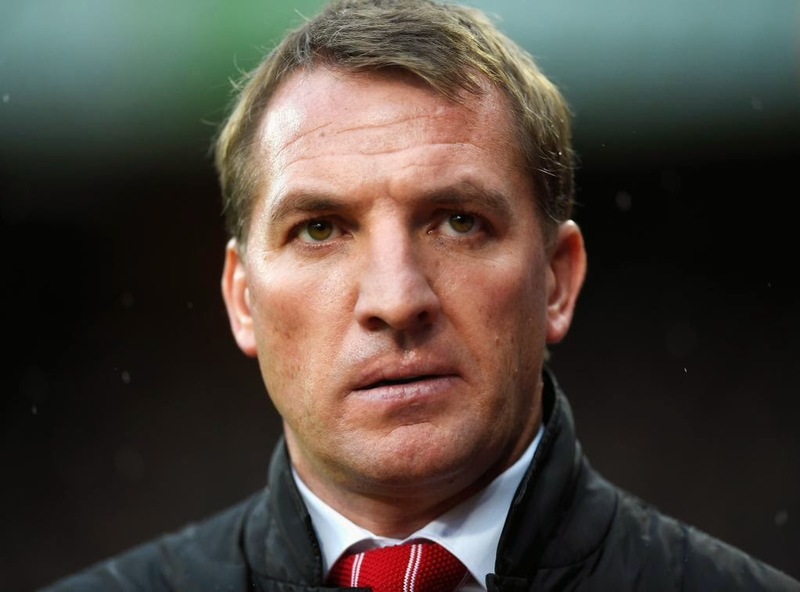 Brendan Rodgers' side must win in order to progress through to the round of 16. With memories flooding back of that emphatic tie against Olympiakos way back in 2005 it's hard to fend off that magical Champions League spirit as a kopite at the moment, however Liverpool are struggling in both attack and defence and Basel will be a difficult side to deal with. 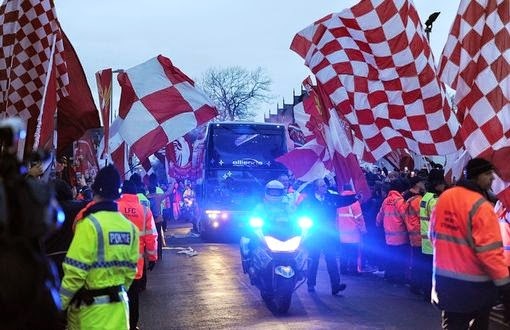 The added bonus of the game being at Anfield means Liverpool can relish in the unique atmosphere our ground provides but the Reds need goals to win and at the moment they're short in supply. Liverpool kept only their fourth clean sheet of the season in a dismal attacking display against Sunderland on Saturday. 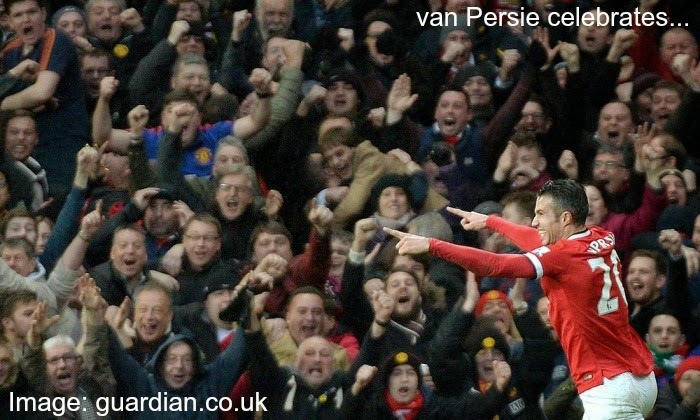 The Reds managed just two shots on target whilst the black cats only managed only one. It was hardly a "must see" game for the neutral and whilst the Reds may perhaps feel happy they didn't lose another game, the fact is we should be doing much better against teams like Sunderland. I didn't get chance to watch the game yesterday because I was at work and so this is just a match round up, no real opinions as I've only seen highlights and there weren't many highlights to mull over haha. 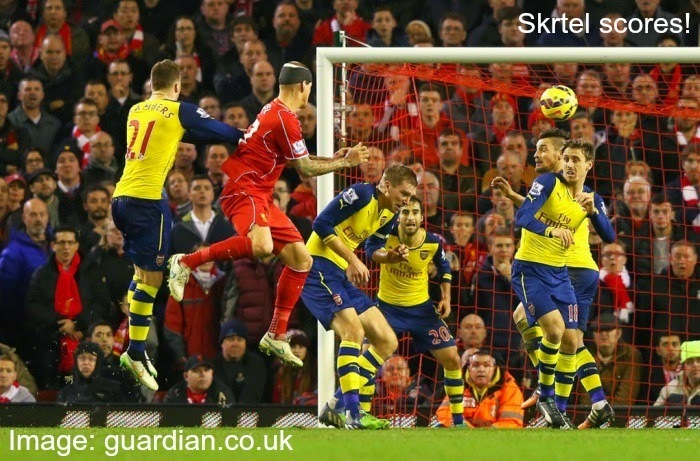 The first moment of note for Liverpool in the game came when Martin Skrtel played a risky tackle in the box. Sunderland perhaps had reason to question the call from the referee but Neil Swarbrick called no peno. 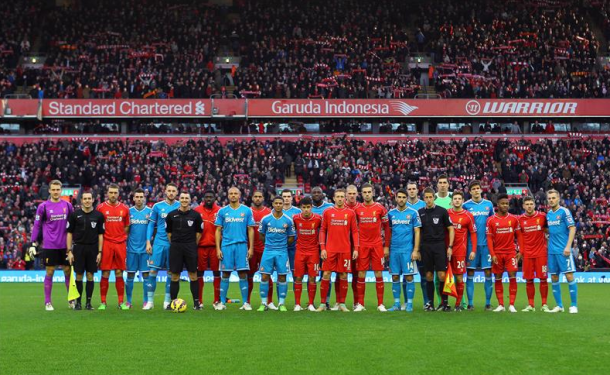 Liverpool welcome Sunderland to Anfield on Saturday as they look to continue their winning streak. 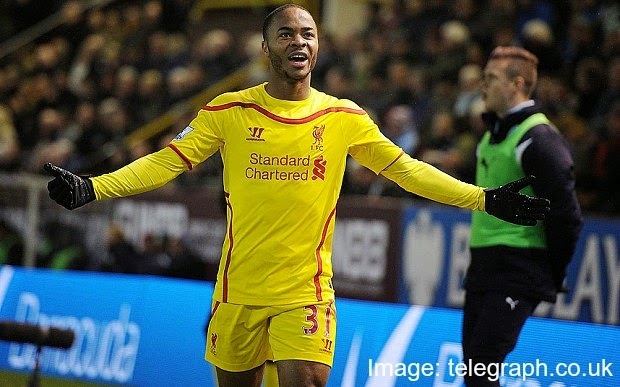 Having seen off Stoke and beaten Leicester 3-1, the Reds for once are feeling quite optimistic. With news this week that work will start on the Anfield redevelopment from Monday too things are looking rosy for the Reds. However Brendan Rodgers knows all too well than to get ahead of himself and it's an important week for Liverpool who have Basel to face in the week also. Injuries for Liverpool mean they are still without Mario Balotelli (don't even bother bringing up today's news from the FA because that's a whole other blog post, follow me on Twitter for my opinions on that). Positively for Liverpool Philippe Coutinho is back and it's thought Jose Enrique may also feature as he slowly regains match fitness. For Sunderland they have a big doubt hanging over striker Steven Fletcher whilst Sebastian Coates is ineligible to play against us. 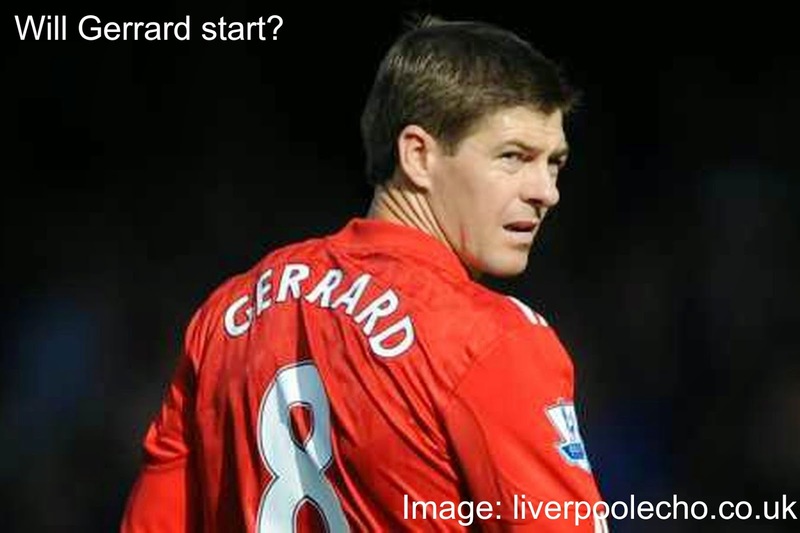 That Steven Gerrard is past it lad... Except he isn't is he? 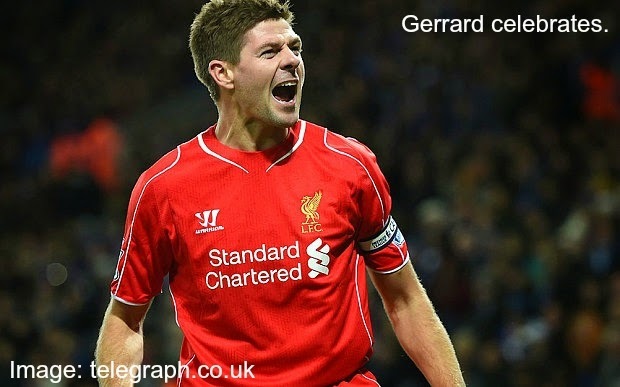 After a vintage goal and more touches on his heat map than a teenager's iPad, Steven Gerrard proved exactly why he hasn't "lost it" last night as he helped his side to a 3-1 victory over Leicester. It was a lively game for the Reds who perhaps should have performed better in the first half. 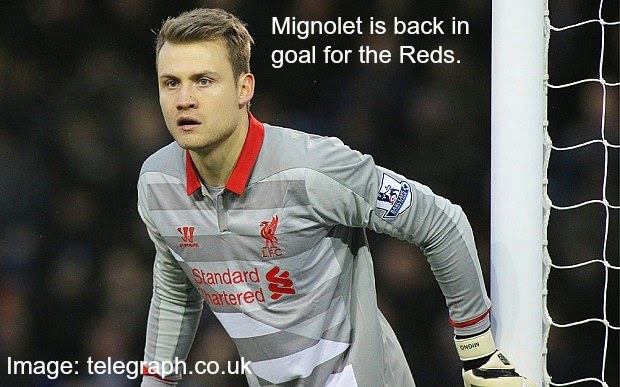 The first concerning moment for Liverpool came after a rash decision from Simon Mignolet. The keeper was out on the left of the pitch and attempted to play the ball into his defence but made a silly mistake by feeding the ball into the path of a lurking Cambiasso. Realising his error, Mignolet scrambled back towards his goal and had probably a third of it covered. The veteran Cambiasso had practically an open goal but his effort fortunately for Liverpool drifted wide past the left hand upright. Liverpool travel to Leicester on Tuesday evening, ready to face the foxes after finally picking up a win in the Premier League at the weekend. Leicester are currently bottom of the table having picked up 10 points. Injuries for Liverpool mean they are still without Mamadou Sakho and Mario Balotelli. Leicester have a few issues with the team as Nigel Pearson is unable to call upon Dean Hammond and Matthew Upson. David Nugent is also a doubt with a calf problem. The last time the two sides met was way back in 2004 it was hardly an exiting affair though as the game ended 0-0. The last time Leicester beat Liverpool was in 2001, a 2-0 defeat for the Reds. The sides have met on a total of 88 occasions in the league. Liverpool have won 36 times, Leicester 33 times and there has been a total of 19 draws.